Upgrading stock access routes, reuse of dairy effluent, and improved irrigation systems are just some of the ways four a2 Milk™ farmers are enhancing the sustainability of their operations this year. The a2 Milk™ Sustainable Agriculture Landcare Grants programme recently delivered close to $40,000 in funding to four dairy farms in New South Wales and Victoria. The projects will focus on different initiatives to enhance sustainability and achieve positive environmental and business outcomes, such as increased biodiversity, reduced erosion, improved productivity, and improved pasture health. a2 Milk™ is also produced at Hastings Park, the Cleary family property in Brombin, New South Wales. The grant received will fund a project to capture solids from the dairy wash-down and reuse the nutrients in the farm’s irrigation system, reducing reliance on chemical fertilisers and reusing what would otherwise be a waste product.New South Wales farmer, Tim Billing, supplies a2 Milk™ from his farm on the Dorrigo plateau. His project will focus on reducing nutrient runoff into the local water catchment area through an upgrading of the stock access route, which will also improve pasture health, and reduce soil erosion. 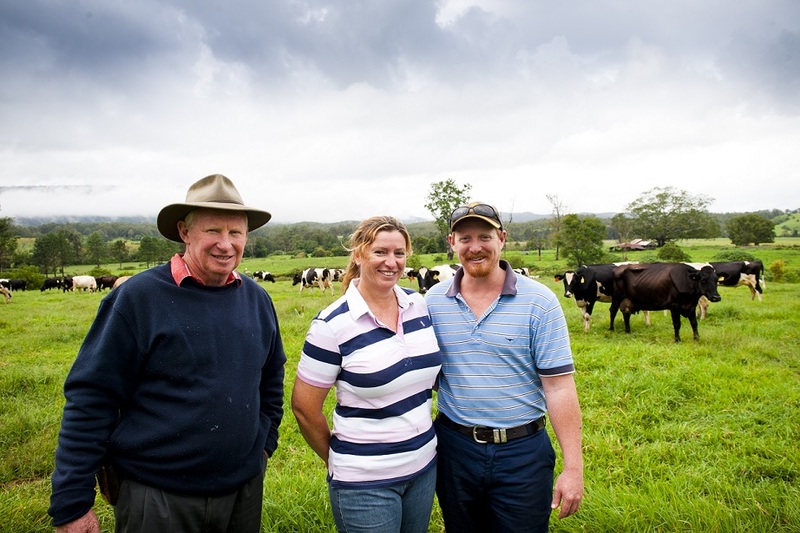 In the Bellingen region of New South Wales, Mark Perry’s Perryview Farm is a pasture based dairy farming system supporting 150 Holstein cows. Mark’s project will increase biodiversity and reduce soil erosion through the installation of a permanent stock access route, which will manage stock in high traffic areas, thereby allowing the regeneration of native vegetation. This will see reduced erosion, improve pasture health, and increased stock productivity through improved herd locomotion scores. With 154 cows on 400 acres, Garry Wachter’s property in Victoria’s Nanneella district will benefit from a grant used to improve on farm water use and efficiency through an improved irrigation system. Garry predicts that by changing from a traditional method to a high flow surface irrigation system, he will see a 20% water saving and improved efficiency. This will lead to improved pasture quality, quantity and management to increase home-grown feed inputs for the herd. The a2 Milk™ Sustainable Agriculture Landcare Grants programme was delivered through a partnership between Landcare Australia and The a2 Milk Company. There are 28 certified a2 Milk™ dairy farms across Australia. Each cow on these farms has been selected to produce only the A2 protein and none of the A1 protein found in regular cows’ milk.